Brecknock has ‘Healthy School Status’ and as such we promote a healthy eating lifestyle in school. We have a separate dining room from the main building where we offer hot meals for lunch which are cooked on the premises by our fabulous chef Steve and his team (meat and vegetarian options). Caterlink is the company with the contract. If you are eligible for free school meals you must register with Camden. Free School Meals application forms are available from the office or by downloading by clicking here. They need to be sent to Camden’s Benefits Service, or alternatively the office can send them via the internal courier. You can also apply online via the Camden website. Click here for information on eligibility for free school meals or to make an online application. Many of the funding formulas for working out how much money schools receive from the government and local authority are partly decided by the number of children eligible for free school meals, so even if you do not plan to use the free meal, it is really important if you are eligible that you register so the school gets the funding it is due to support the teaching and learning of the children. 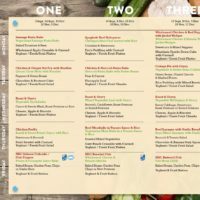 Menus provided by Caterlink change weekly. We are given a terms menus at a time. These can be found at the bottom of this page. Every day there is a meat and vegetarian option for the children. There is also space in the dining hall for children to eat a packed lunch if you prefer that your child brings lunch from home. There is a packed lunch policy detailing what is allowed in packed lunches. This can be found on this page. 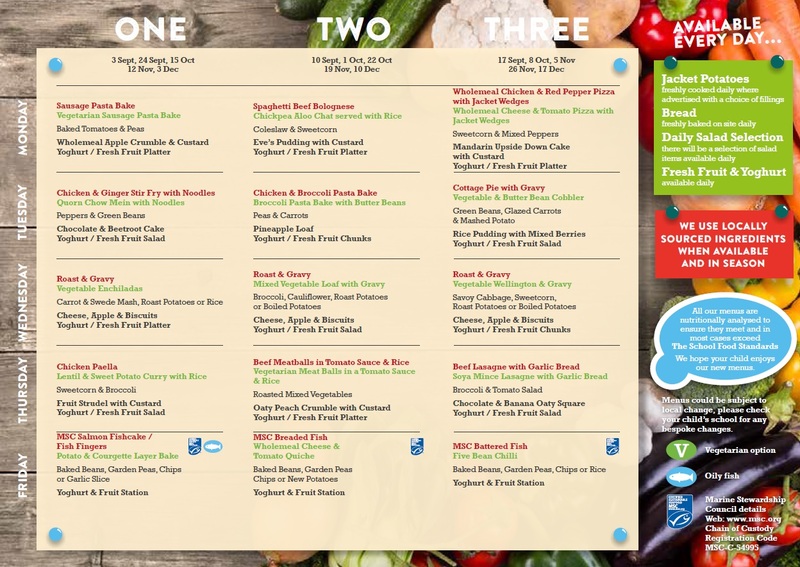 Like our school dinner menu, our packed lunch policy encourages healthy eating. 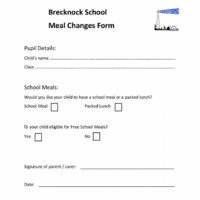 Meal changes – school dinners to packed lunch or vice versa – must be reported to the office and a form needs to be completed. Changes ideally should be done at the beginning of any half-term. However, if within a half-term, changes apply from the Monday of the following week from when you alerted the office.